BUFFALO, N.Y. - U.S. Attorney James P. Kennedy, Jr. announced today that Michael Hildebrand, 50, of Orchard Park, NY, who was convicted of assault within the special aircraft jurisdiction of the United States, was sentenced to one year probation by U.S. Magistrate Judge Michael J. Roemer. Assistant U.S. Attorney Jonathan P. Cantil, who handled the case, stated that on December 20, 2017, the defendant was a passenger on a United Airlines flight from Newark, NJ to Buffalo, NY. During the flight, Hildebrand assaulted a woman by grabbing the victim’s groin area without consent. 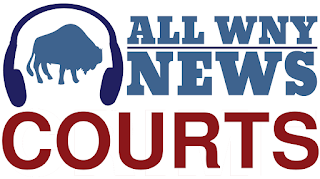 The sentencing is the result of an investigation by the Federal Bureau of Investigation, under the direction of Special Agent-in-Charge Gary Loeffert, and the Niagara Frontier Transportation Authority Police, under the direction of Chief George Gast.